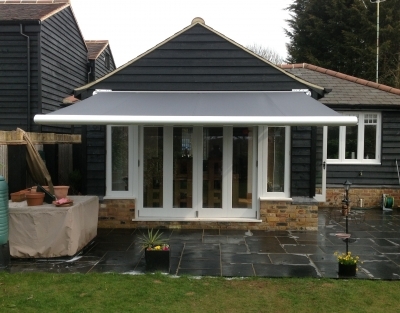 The Carolina Blind Company are delighted to introduce to you their exciting range of Awnings Parasols and Canopies. Our wide range of patio awnings allow you to bring the outdoors in for use at any time of day or night, creating a whole new area for you and your guests to relax and enjoy. Awnings can offer sun protection, providing shade for your patio area and to the adjoining room. Most of our high quality awnings are also fully motorised using advanced wireless technology and can be combined with light and wind sensors enabling your awning to extend automatically, providing peace of mind that in the event of inclement weather the awning will safely retract on its own. We offer an extensive range of quality systems, mounting brackets, colourways and accessories to cater for every application. All our systems are competitively priced, CE marked showing their quality and reliability and back by the Manufacturer's Guarantee.